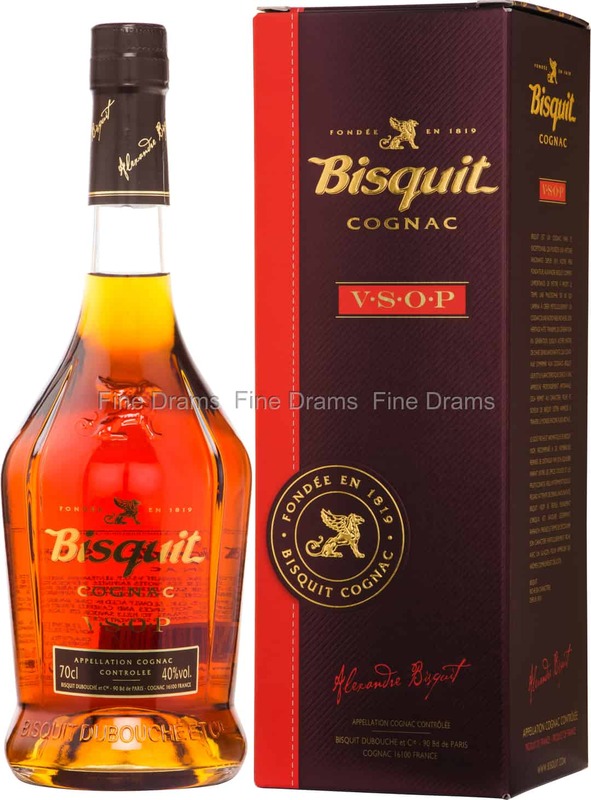 Not something you dip in your tea, this Bisquit is a marvelous VSOP Cognac. Bisquit was beloved by Sir Winston Churchill, and has been produced for nearly 200 years. Aged for at least 4 years in Limousin oak casks, this Cognac was produced near the town of Rouilliac in the Fins Bois cru. This Cognac is packed with notes of floral flavours and touches of dried fruits, cinnamon, cloves, honey, chocolate and crisp dark oak. A delicious Cognac, perfect for sipping or making into zesty Sidecar.